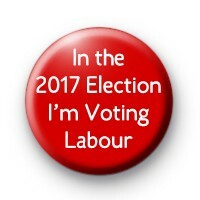 In The 2017 Election I will be Voting Labour. Jeremy Corbyn for Prime Minister. No Conservatives or Theresa May. Standard 25mm button badge hand made in our UK workshop.